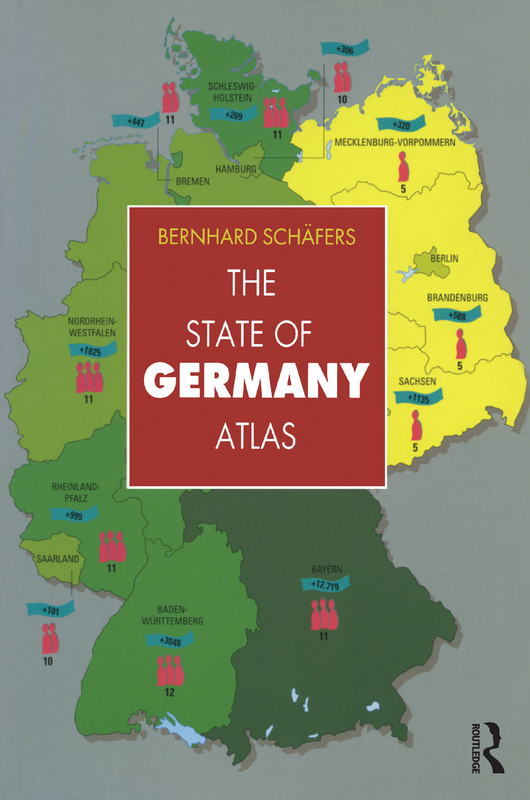 The State of Germany Atlas highlights the most significant political, social and economic trends in Germany today. Thirty five maps in double page spreads show how Germany is changing, the impact of unification, and the continuing differences between the east and west. These maps also place Germany in its European context--they show the country in comparison with its European economic partners, other European neighbors and leading trading partners such as Japan and the US. This full-color atlas also looks internally, charting social and demographic issues including: lifestyles, immigration, poverty and wealth, salaries, unemployment, social welfare, investment, elections, political parties and social movements. Also inlcludes 35 maps. Bernhard Schäfers is Director of the Institute of Sociology at the University of Karlsruhe, Baden-Württemburg.